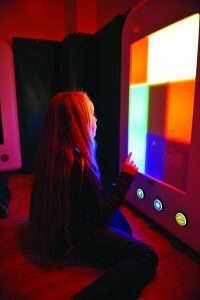 Interactive Wall Panels provide visual stimulus or the opportunity for interaction and control by the simple touch of a button to change colors, generate sounds or create movement. 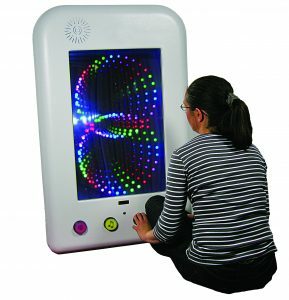 Client engagement with panels facilitates cause and effect, range of motion, eye-hand coordination, color recognition or just plain fun. Wall panels are secured to the wall or can be used with a mobile porter. 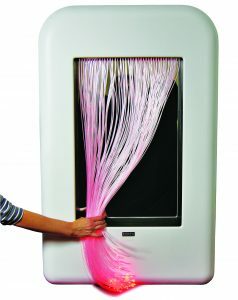 Panels are compatible with other Snoezelen WiFi products. 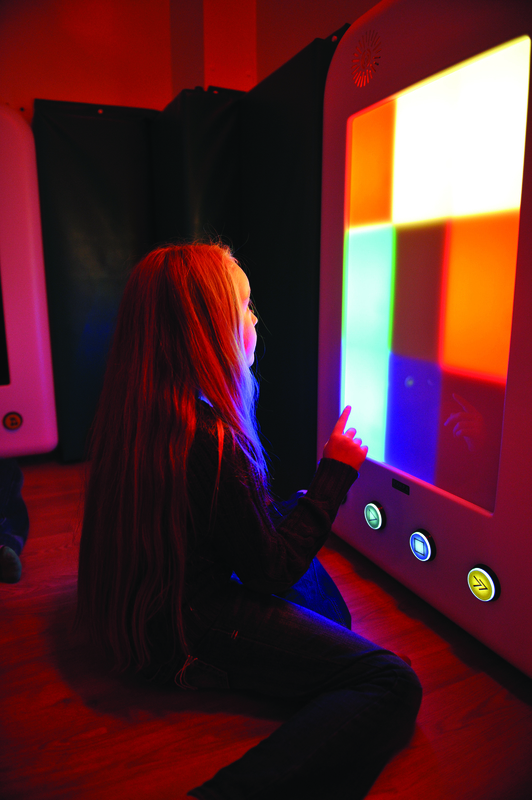 Snoezelen offers an extensive selection of wall panels to offer leisurely relaxing or stimulating sensory activities. The best of both worlds: a panel and a bubble tube. Excellent for small spaces. 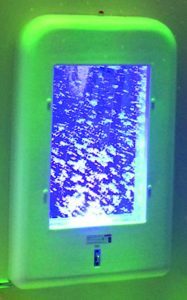 Very visual and eye catching, great for calming and relaxation. 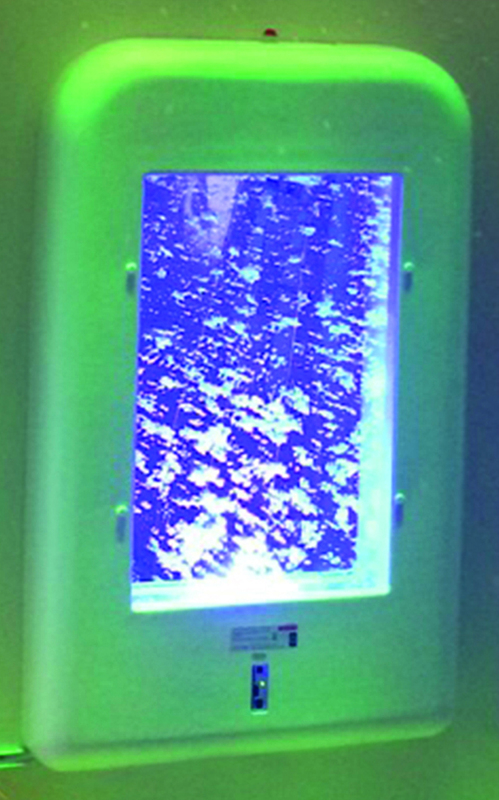 Fiber optic strands are set against a mirrored panel for visual effect. 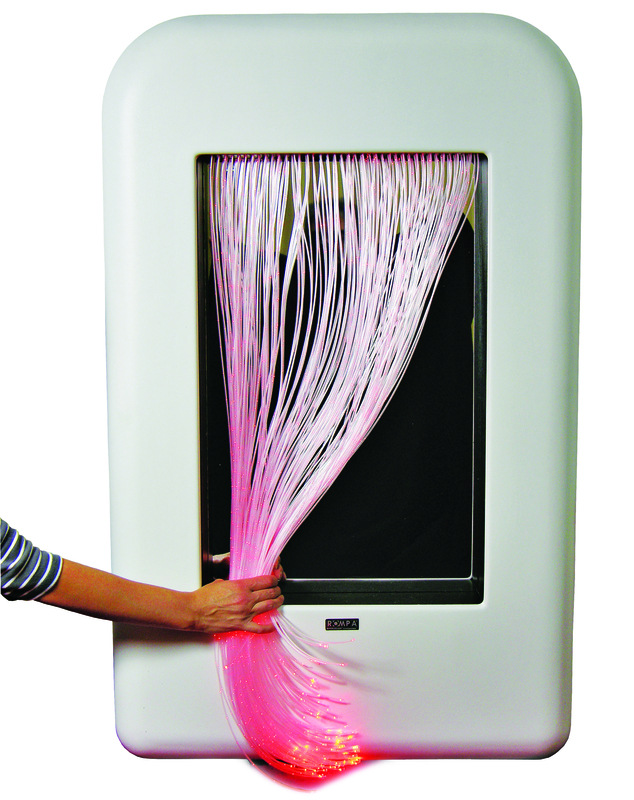 Strands change color and are excellent for people with sight impairment. Features 49 different light effects! Large accessible buttons make it easy to use for people of all ages and abilities. 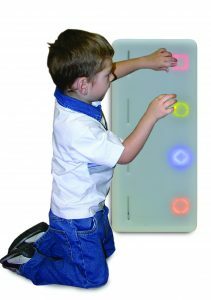 Excellent for tracking, eye-hand coordination and cause and effect. 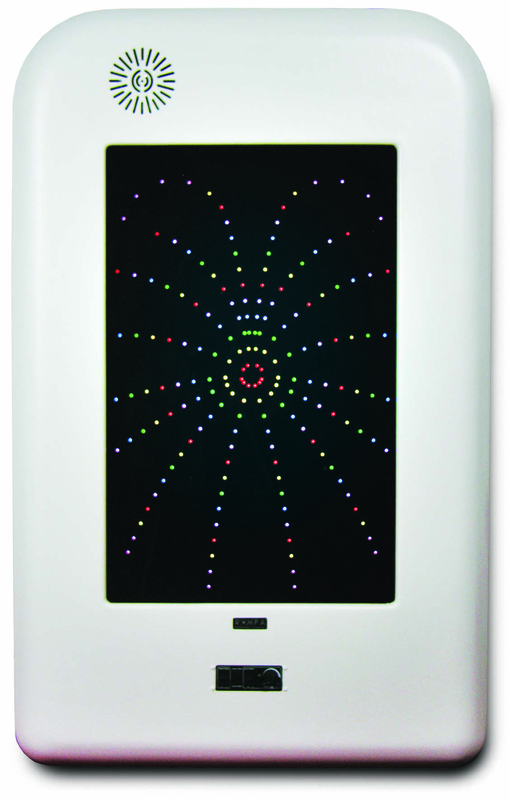 LED lights shine brightly in an array of colors. 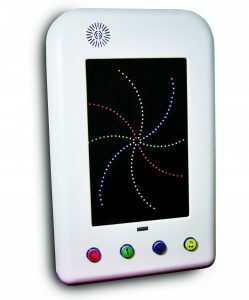 The four buttons allow for easy selection of patterns, speed and sound effects. Excellent for cause and effect! Captivating visual display of changing color and fireworks sounds. Includes one external microphone for voice activated control. 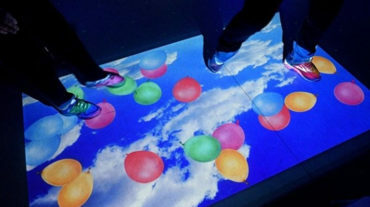 Stimulates the visual and auditory senses! When activated, all 9 rectangles will be lit in the chosen color. Adjustable to the user’s ability. Includes a built-in MP3 player and music library. 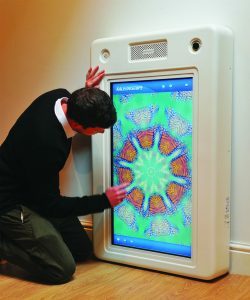 This sound responsive wall panel is designed to be used by people with visual impairment or limited motor skills. The 10 light display patterns are activated by sound volume, not by touch. Fully customizable via a memory stick or sound card and sensitivity to sound is adjustable. 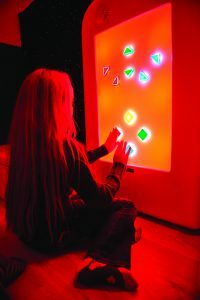 Encourages vocalization, increases visual attention and promotes understanding of cause and effect. Attractive and interactive! 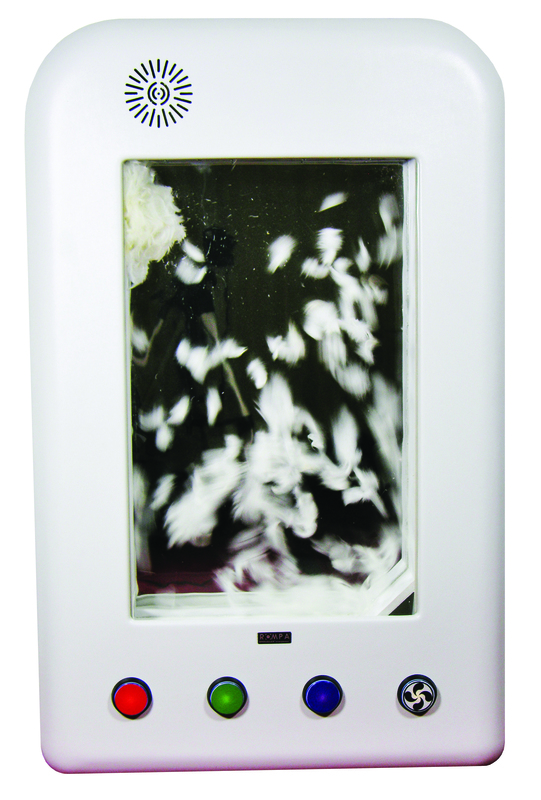 White feathers dance inside the panel replicating snow while a mirrored back and color changing LED lights multiply the visual effect. 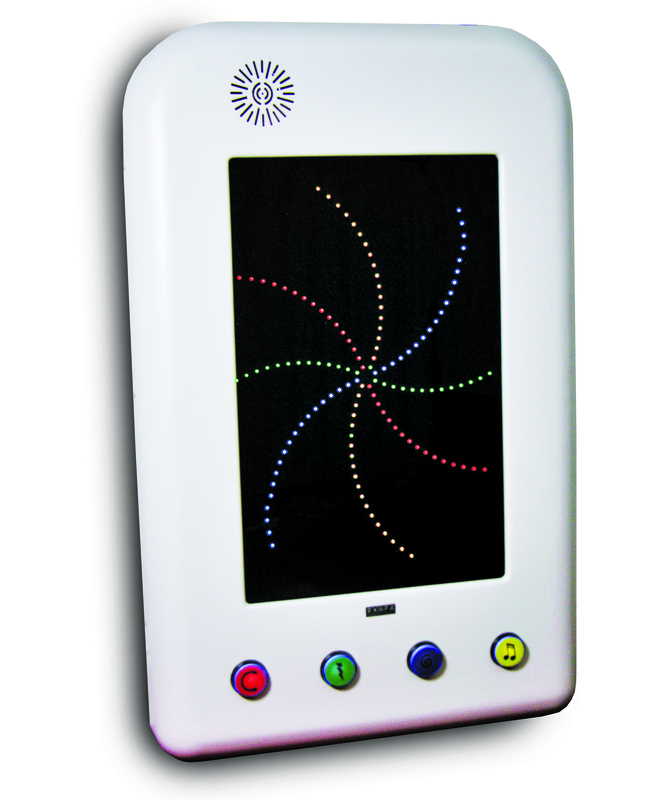 Four push buttons offer control over color, speed and fan. 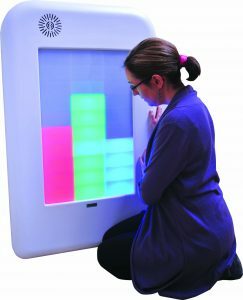 Delight your client’s visual and auditory senses with the Color Changing Panel. 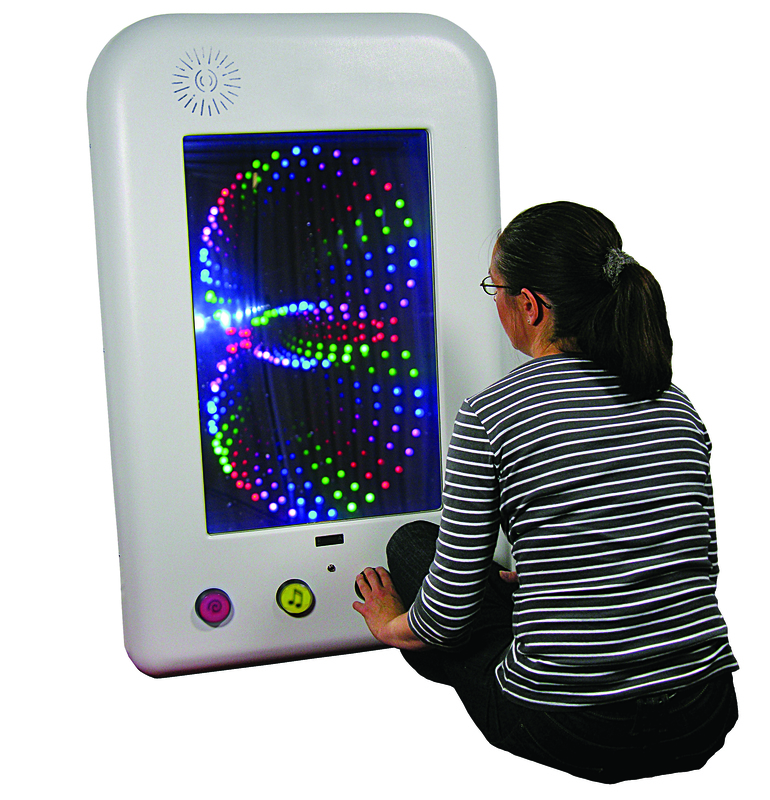 Builds visual tracking, eye/hand coordination, and cause/effect skills. Pressing on shapes rewards users with a fun sound. 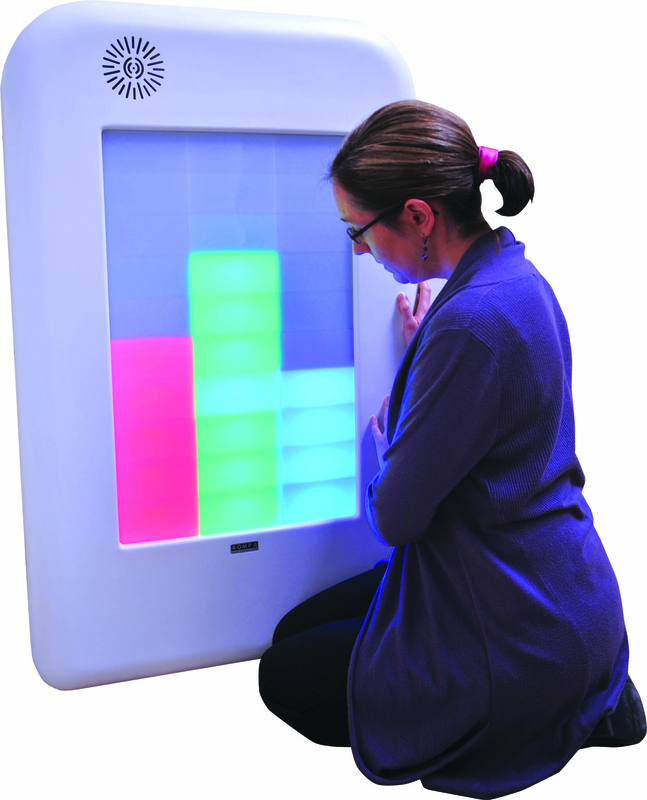 This interactive panel combines touch and sound technology to encourage interaction and focus. Great for all ages and abilities. 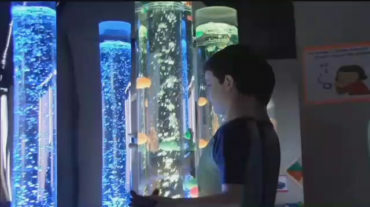 The Mega Pod comes complete with 8 versatile, scalable applications that can be modified to the user’s ability. Activate smells, colors, sounds and breezes for aromatic, visual, audible and tactile stimulation.